Green Wave, originally uploaded by [Zakkaliciousness]. 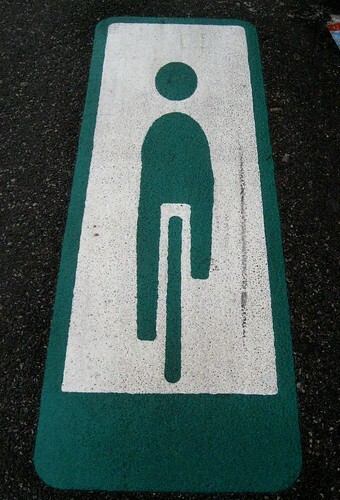 I've been looking forward to seeing this pictogram painted on the bike lanes. Copenhagen has, on certain stretches of bike lanes featuring heavy traffic (30,000 + bikes per day), started coordinating the traffic lights to give cyclists a 'green wave' all the way along the route. This means that if you ride 20 km per hour you'll hit green lights the whole way. Some people have bike speedometers, but most can adjust their speed without electronic interferance and enjoy an uninterupted ride to and from work.